Is Abercrombie & Fitch Co. (NYSE:ANF) a buy here? The best stock pickers are in a pessimistic mood. The number of bullish hedge fund positions dropped by 13 recently. ANFwas in 17 hedge funds’ portfolios at the end of the third quarter of 2016. There were 30 hedge funds in our database with ANF positions at the end of the previous quarter. The level and the change in hedge fund popularity aren’t the only variables you need to analyze to decipher hedge funds’ perspectives. A stock may witness a boost in popularity but it may still be less popular than similarly priced stocks. That’s why at the end of this article we will examine companies such as BroadSoft Inc (NASDAQ:BSFT), First Financial Bancorp (NASDAQ:FFBC), and Super Micro Computer, Inc. (NASDAQ:SMCI) to gather more data points. Now, we’re going to check out the key action encompassing Abercrombie & Fitch Co. (NYSE:ANF). At Q3’s end, a total of 17 of the hedge funds tracked by Insider Monkey were bullish on this stock, a plunge of 43% from the second quarter of 2016. 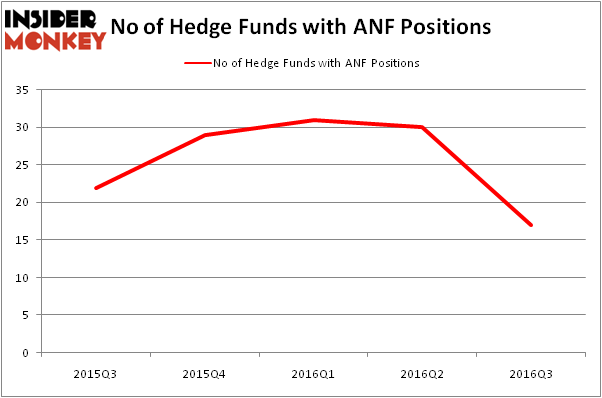 On the other hand, there were a total of 29 hedge funds with a bullish position in ANF at the beginning of this year. So, let’s review which hedge funds were among the top holders of the stock and which hedge funds were making big moves. 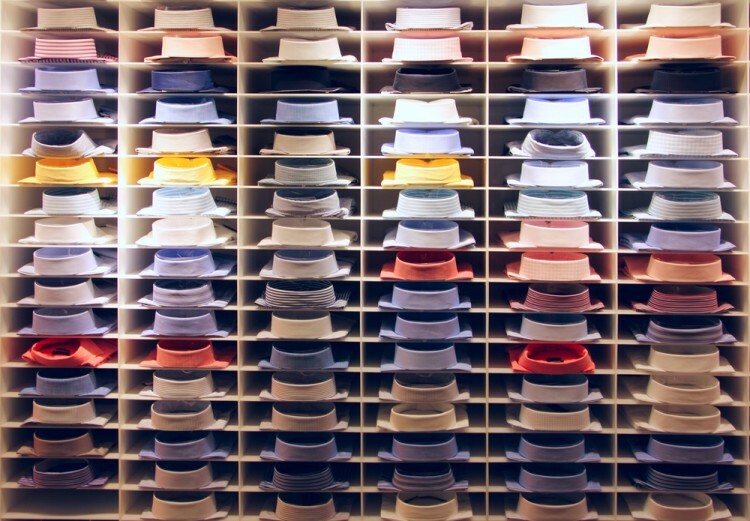 When looking at the institutional investors followed by Insider Monkey, Glenhill Advisors, led by Glenn J. Krevlin, holds the biggest position in Abercrombie & Fitch Co. (NYSE:ANF). According to regulatory filings, the fund has a $46 million position in the stock, comprising 2.8% of its 13F portfolio. On Glenhill Advisors’s heels is Cliff Asness of AQR Capital Management, with a $43.5 million position; the fund has 0.1% of its 13F portfolio invested in the stock. Some other members of the smart money that hold long positions comprise Philippe Jabre’s Jabre Capital Partners, Peter Rathjens, Bruce Clarke and John Campbell’s Arrowstreet Capital and David Costen Haley’s HBK Investments. We should note that none of these hedge funds are among our list of the 100 best performing hedge funds which is based on the performance of their 13F long positions in non-microcap stocks.